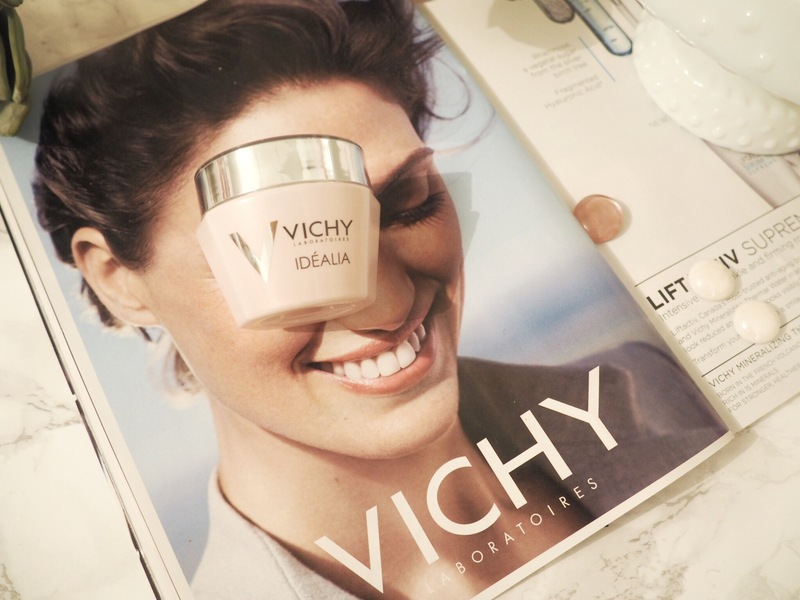 I recently received some Vichy Idealia products to try. I have heard of Vichy but never tried any of these wonderful products before. Why have I never tried these products before? Seriously, they are all wonderful. All of the products are beautifully packaged. 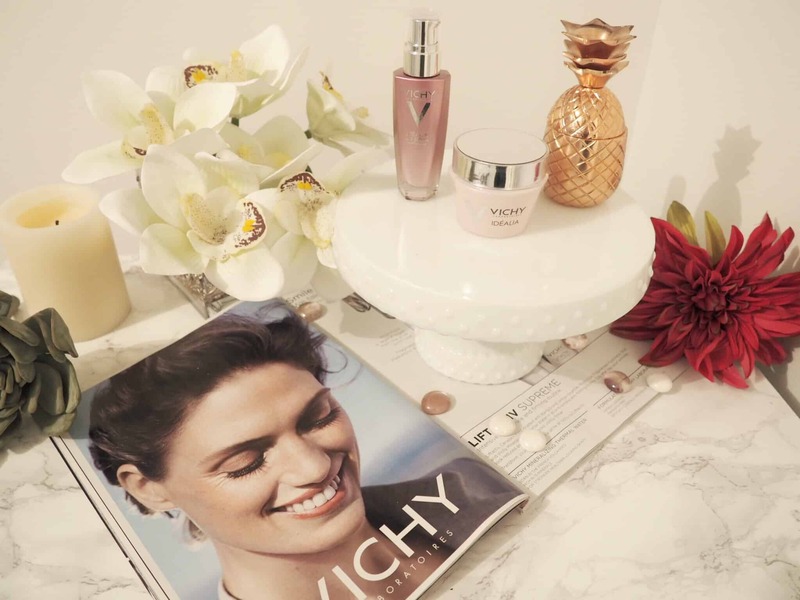 Since 1931, Vichy provides products with clinically proven efficacy in premium textures enhancing their daily skincare routine into a pleasurable experience. Using the highest formulation standards, all Vichy formulas are paraben free, hypoallergenic and tested on sensitive skin of all ethnicities. Fine lines, visible pores and dull complexion – chances are you didn’t realize that these were your first signs of aging. The Idealia range improves skin radiance and minimizes the look of fine lines as well as pores when your regular skincare just isn’t cutting it anymore. I love that there is a product for every skin care need and every stage of ones life. They understand that every woman’s skin is unique. They have routines to help fight the signs of aging (I NEED that, we all want to age gracefully) and preserve your skin health and youth. This serum helps even out skin tone, refine pores for a fresh complexion. It instantly leaves my skin smooth, plumped, fresh and soft. Apply a pump of serum over the whole face in the morning and/or at night. Can be used alone for normal or combination skin or under a moisturizer for dry or very dry skin. This serum is a light pearl pink serum that is lightly scented – a florally/ fruity type of scent. I apply this first then I add the Idealia Day Cream. Your first corrective care for early signs of aging. New Idealia Day Care, enriched with Vitamin E and Kombucha improves skin radiance and minimizes the look of fine lines and pores. Apply morning to perfectly cleansed skin by spreading a touch of cream over the face. This leaves my skin feeling smooth and soft. It gives my skin a radiant glow. I have been applying this after the serum as I feel my skin needs that extra bit of moisture in the winter months. This cream is thicker than the serum. It is a heavier pink moisturizer that like the serum, has a fruity light scent to it. More reviews to come on some other Vichy products. 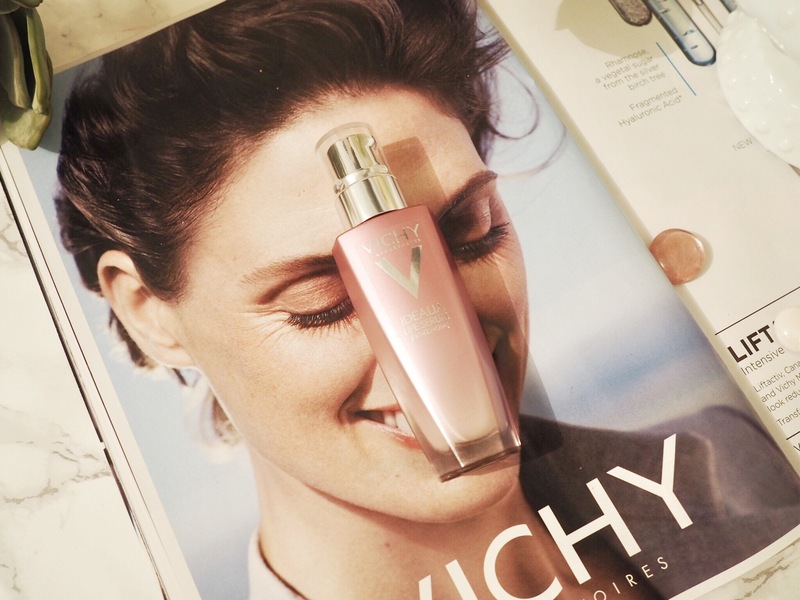 Have you tried any Vichy products that you like? I’m so anxious to try more and more vishy products. I use their night time moisturizer and have not used or though to use any other moisturizer ever since. It’s literally the best thing and I have no doubt that their entire line is just as good! I totally want to get my hands and more, but the prices sometimes kill me. I’m goingto try to gather more one product at a time! There products are great. I jump around with products but am loving Vichy. I love vichy. All their products are really worth it!